Fresh on the heals of my recent Mail Sorcery Screencast, I've been playing with some other Mail plugins and found this great free plug-in called Letterbox. 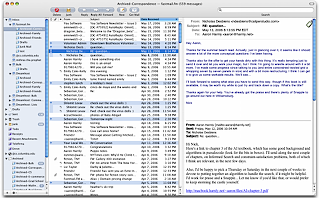 This plug-in changes the mail view to the Outlook-like side by side view and is very friendly on widescreen macs. I've been running a few days and love it. I put a lot of work into this one and I hope it is helpful. As usual, it is in Apple TV format. So what are you waiting for? Head over to my iTunes feed and download it. I am one of “those” people. 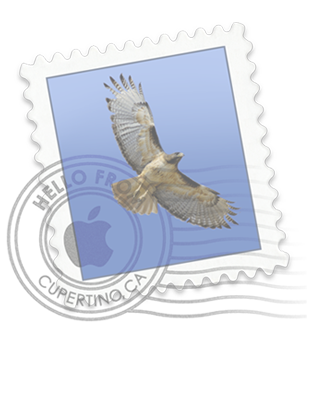 You know … the kind of people that use Apple Mail stationery. Now before the geek storm troopers raid my house and rip my Apple nerd card from my shaking hands, I don’t use stationary all the time. Just occasionally. Like when a friend invites me over for a nice dinner I’ll send a stationery “Thank You” or when sending out an announcement to family members concerning posting pictures to the web. For occasions like this, the Apple Mail stationery fits the bill perfectly. The problem is I’ve been using the same stationary for a year now and it’s starting to look tired. Just this week, Jumsoft, the same people who make some great Keynote add-ons, released their own pack of Apple Mail stationary. 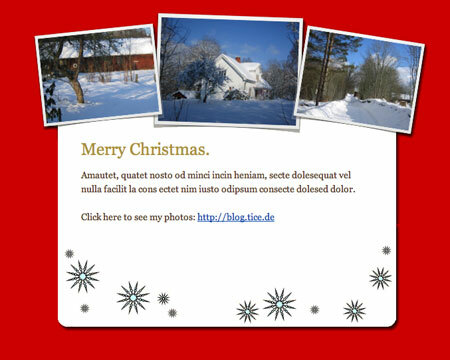 There are a variety of designs allowing you to send a unique e-mail and even dropping in your own pictures if you like. Using this product I made an announcement for about 40 family and friends. It included a custom font, a very nice background, and a snapshot of my family. Everyone was able to read it. The developer has samples of the stationary on its website. The stationery offered works perfectly for my intended use. Specifically to send a nice card to someone on occasion that goes beyond the typical blocky text. This product sells for $39. That may be a little high for the occasional stationary user. If you use stationery repeatedly however, it would not be a bad idea to add some new resources so you’re recipients can see something new.